The one channel model HPSC1 of the High Performance Strobe Controller series drives a broad range of LED illumination devices in continuous and flash mode. 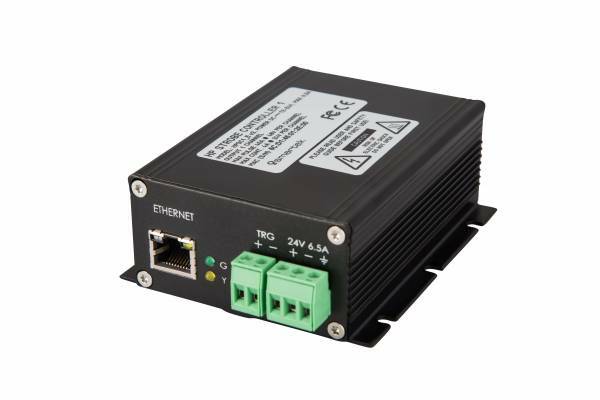 Optimized for low-voltage applications up to 48V and thanks to the ability to deliver current pulses of up to 40A @ 48V, it perfectly suits for large and high-power LED lights – no matter if in continuous or precisely synchronized pulsed operation. The latest hardware design of the HPSC1-V2 controller supports external trigger frequencies up to 50 kHz and internally generated trigger frequencies up to 25 kHz, being more power full than ever before. Ссылки на другие веб-сайты "HPSC1_E_V2"